The Bayeux Tapestry inspires artists and craftsmen. Some spend their lives reproducing it in every detail. The work is also a repository of such famous images that it is very tempting to use it in historical, scholarly or humorous adaptations. The simple but richly detailed design and the way the narrative is divided into successive scenes lend themselves wonderfully to all kind of interpretations. The story-telling technique used by the 11th century embroiderers echoes techniques used today in cinema and animated films. It is sometimes said that the Bayeux Tapestry is one of the first comic strips in history. Famous throughout the world, the Bayeux Tapestry is constantly parodied, copied or re-invented. It has been copied in identical embroidery for many years, reproduced in LEGO®, in the form of thousands of pieces of metal or wood, recently in sand, and it has also been animated (watch The animated Bayeux Tapestry), with its characters and animals brought to life, thanks to new technologies. 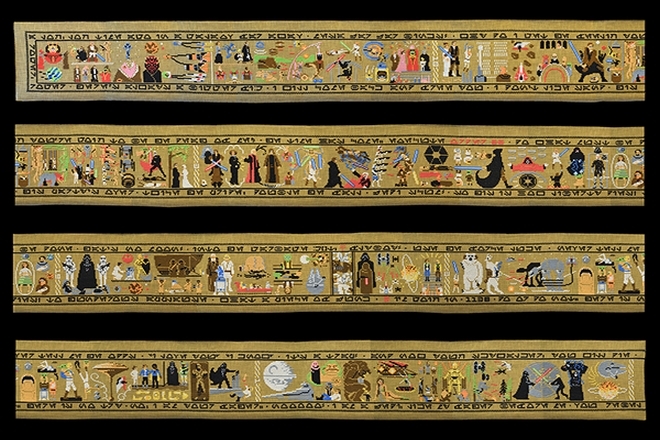 Its design and narrative style have even inspired the creation of tapestries telling the stories of other famous epics such as Star Wars® (photo Star Wars ©Aled Lewis) or Game of Thrones®. 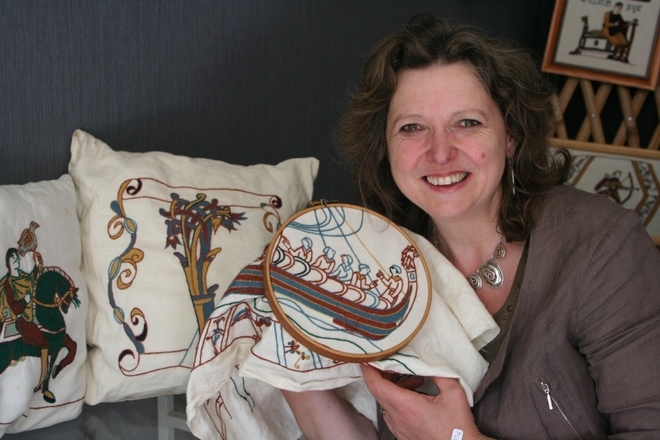 In Bayeux, Chantal James is a craftswoman who is passionate about embroidery and an expert in the Bayeux stitch. She has a shop very near the museum, where she makes embroidery kits and gives lessons in the technique [www.bayeux-broderie.com]. In Alderney, a community of embroiderers has produced a rendering of the missing scenes of the Bayeux Tapestry. Prince Charles embroidered some stitches of this original work himself. A British seamstress, Mia Hansson, has set herself the challenge of reproducing, by herself, the complete work at full scale. Cartoonists often seize on the Bayeux Tapestry. They place figures from political life in it to refer, for example, to events such as Brexit as in the reproduction dreamed up by British newspaper The Sun with its canvas entitled “Bye-EU Tapestry”. The Bayeux Tapestry is one of those works of art which is popular in film and television culture. It was taken up in the title sequence of the films “The Vikings” with Kirk Douglas and “Robin Hood, Prince of Thieves” with Kevin Costner, and it makes a discreet appearance in “The Monuments Men”. 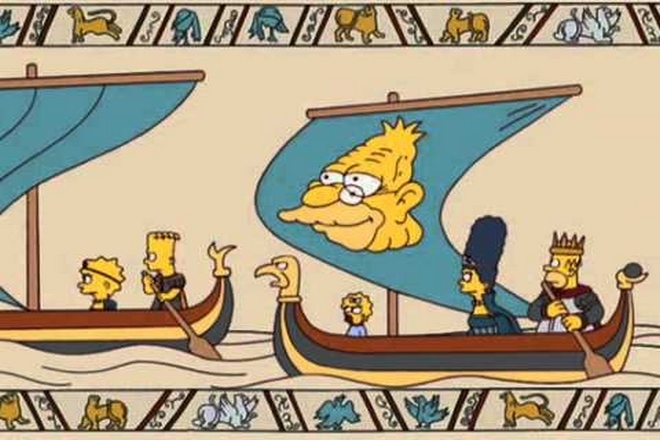 As for animation films, the Bayeux Tapestry is used jokingly in an episode of “The Simpsons” as well as in a scene in “Shrek the Third”.